It's been a while since I last posted an update. Though I have changed and added a few things without posting an update. I added the theme songs to Pokemon Black and White, Pokemon BW: Adventures in Unova and Pokemon XY. I also updated the Pokemon Advanced Battle theme song to a higher quality version from the old one that was ripped from a VHS TV recording. I also updated the registry fix for the Pokemon-branded browsers in the Downloads page for 64-bit OSes as well. About three years ago I bought the domain of my old web host, Kanto Network, and used a free web host to host an archived version of Kanto Network as well as other web sites that the owner, Pokemon Trainer Nella, has hosted, including my own which I simply placed a redirect to here. I can't believe it's been almost 9 years since her site was shut down due to her hosting provider shutting down, and since she seemed to have disappeared from the Internet without a trace. I've haven't gotten a chance to update nearly as much as I used to back in the early days of the site due to being busy with school and programming projects and other stuff, but I still get around to updating something in the background every now and then. Anyways, Happy belated New Years 2016 to everyone. It's so crazy how it's already 2016 somehow. learned new things and had fun along the way. I can't believe it has already been 10 years! 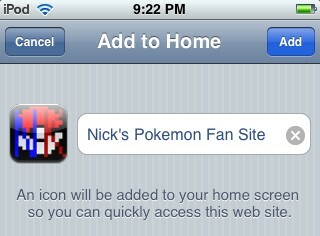 Pokedex for iOS Screenshots Added! days ago called Pokedex for iOS. app please feel free to email me. post on the site and the tapes could be yours. The contest ends January 8th so enter soon! new airings to 6:00 A.M. which is a "bit" too early..
try to upload them somewhere else as soon as I can. between late 2009 to Summer 2010.
page for updates on this game. Burger King Commercial as well. 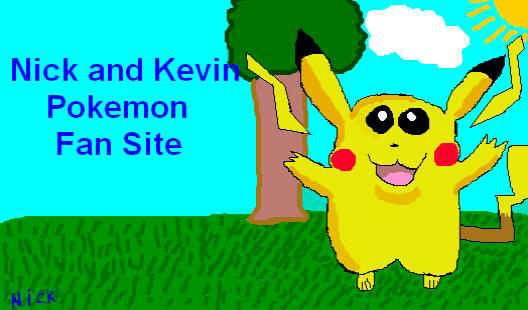 Go to http://www.bk.com/pokemon for more Info. was released two days ago in North America. again and it is our new affiliate.